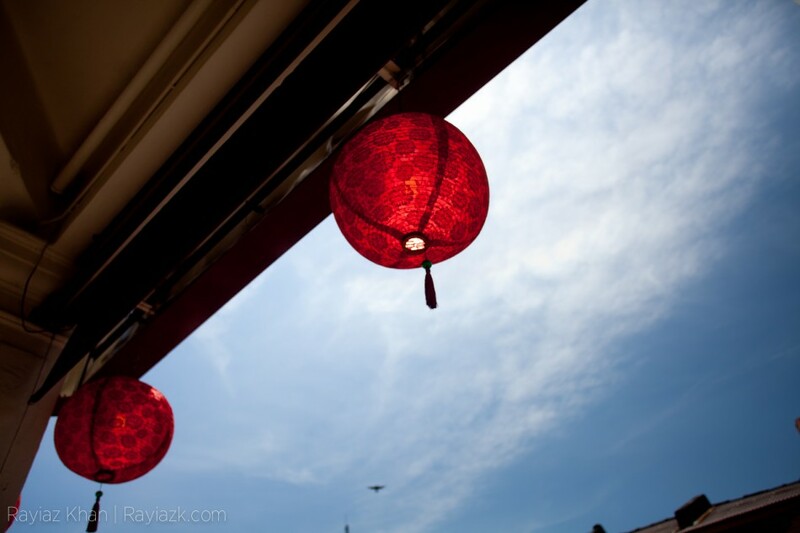 Needing a break from the usual grind in Seoul, I decided to book a vacation in South East Asia which also coincided with Chinese New Year. 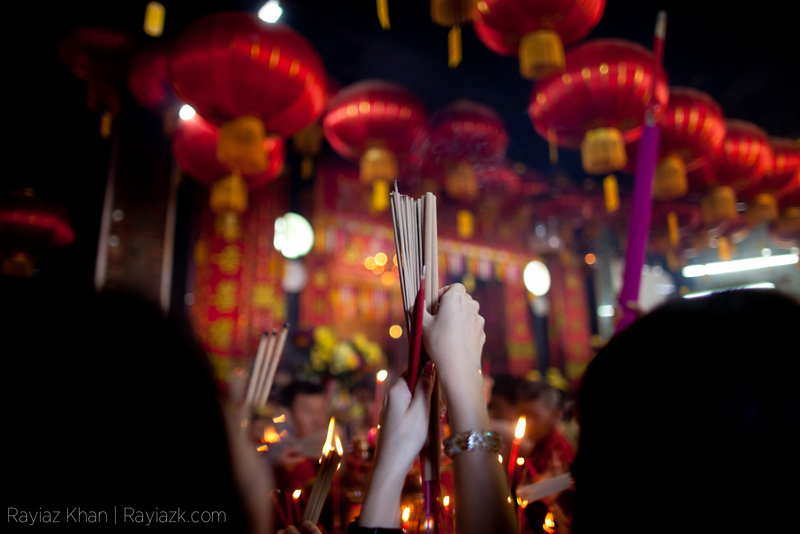 Unfortunately as I was to find out later, the main celebrations happen after the actual holiday which meant there wasn’t a lot going on and most stores were closed for the week. 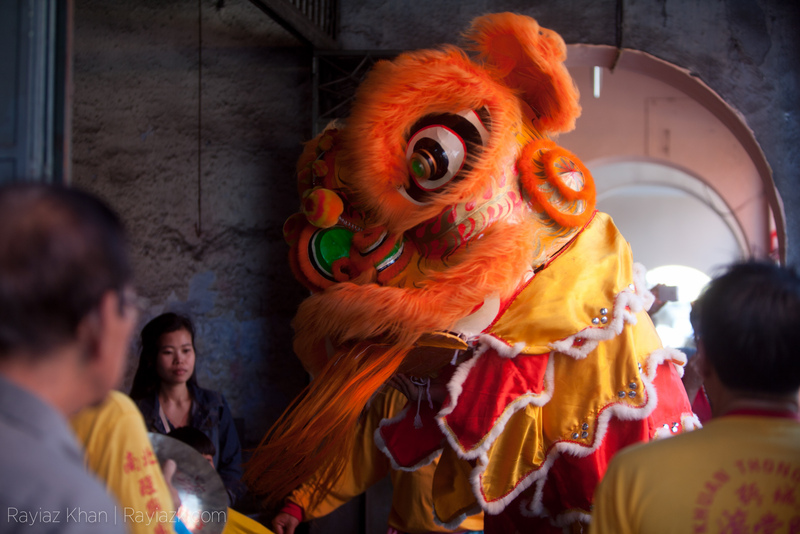 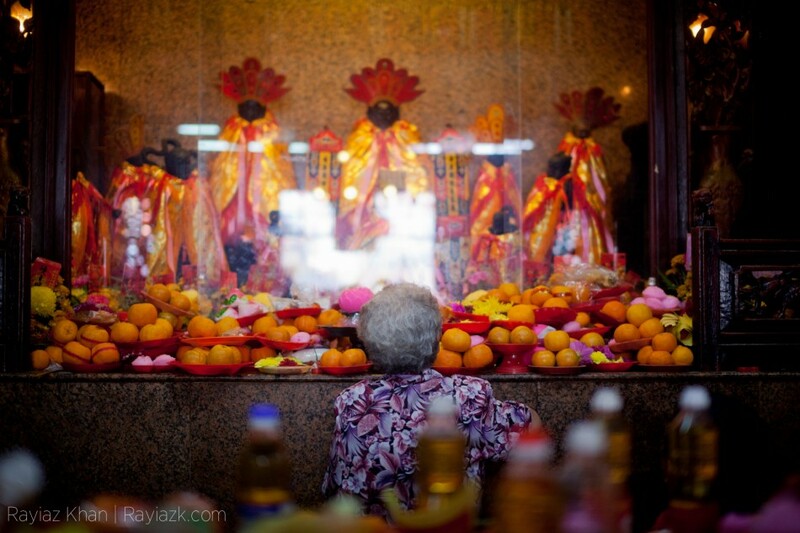 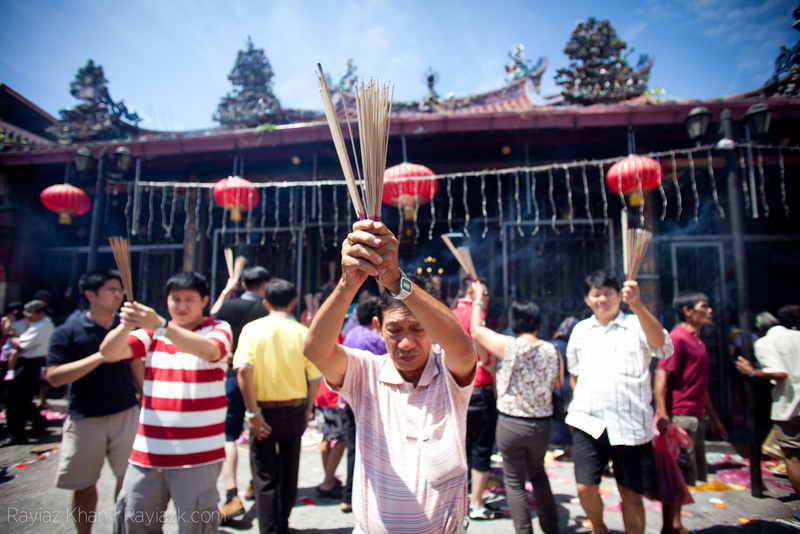 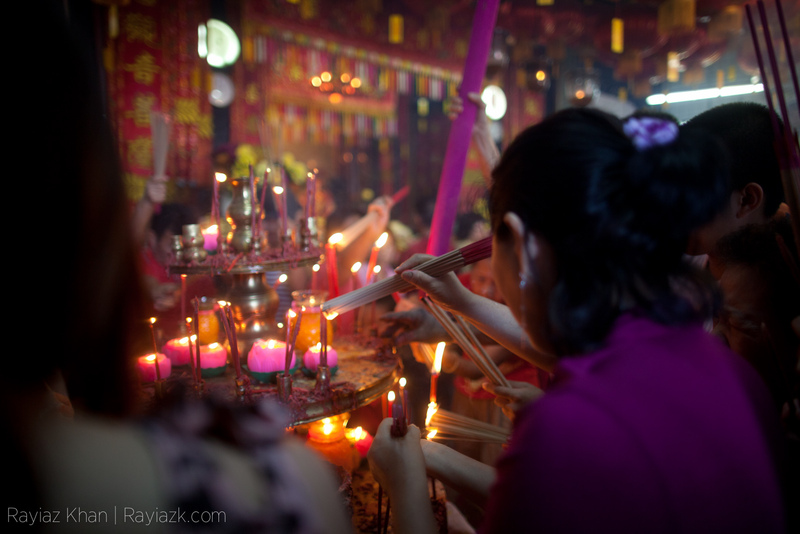 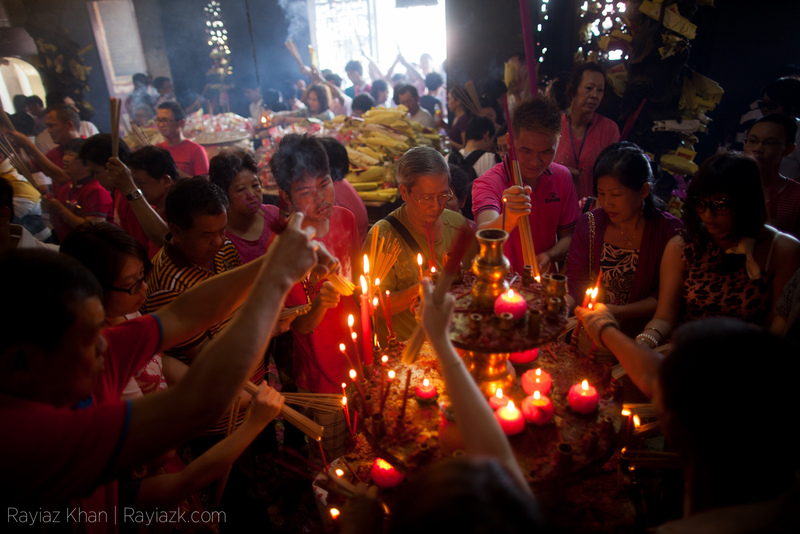 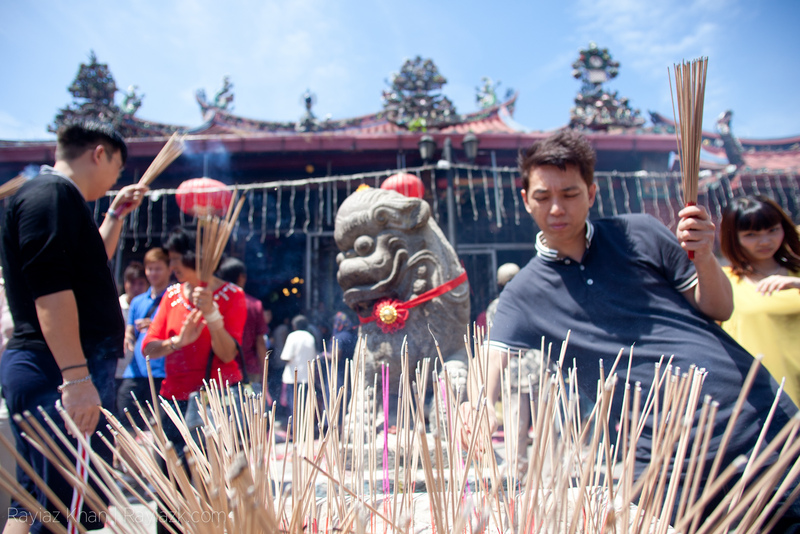 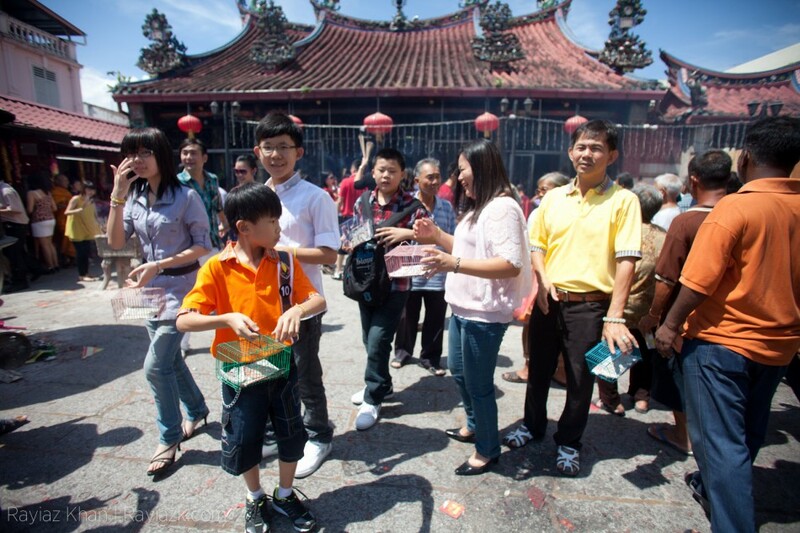 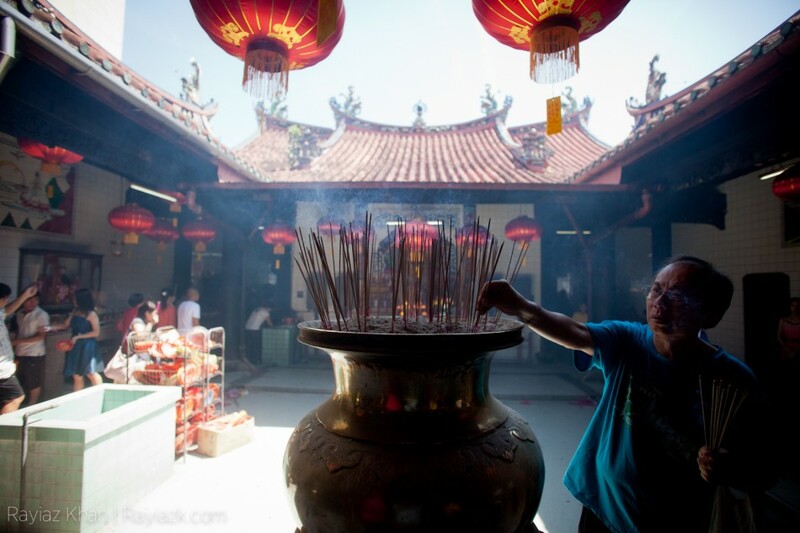 I stopped by one of the local temples in Penang and was able to find people praying for a prosperous new year which made for a few good photos. 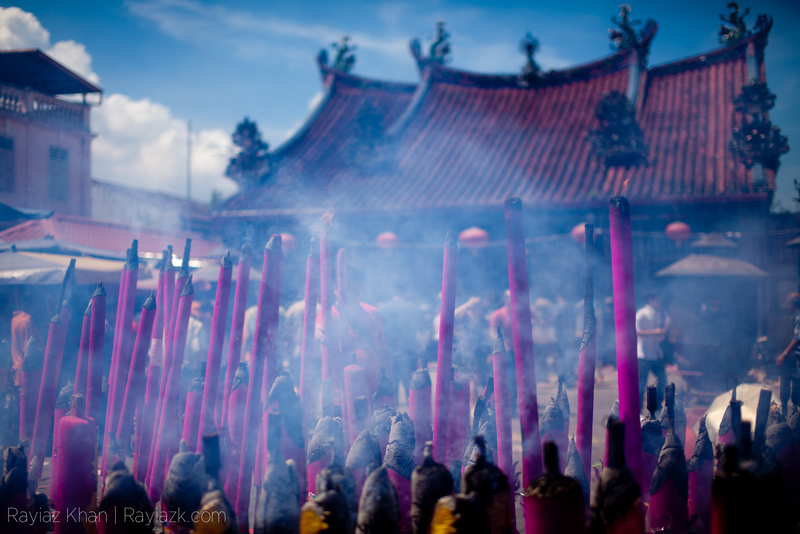 The temple was filled with smoke from all of the incense being burned to the point where I was coughing on the smoke and my eyes were tearing up. 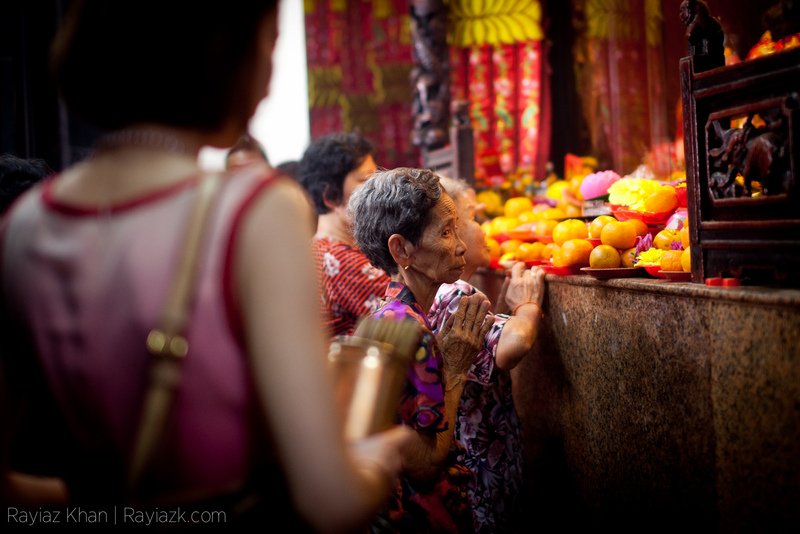 Oranges were placed everywhere in the temple as an offering and the entire place was amass of people praying for a good new year. 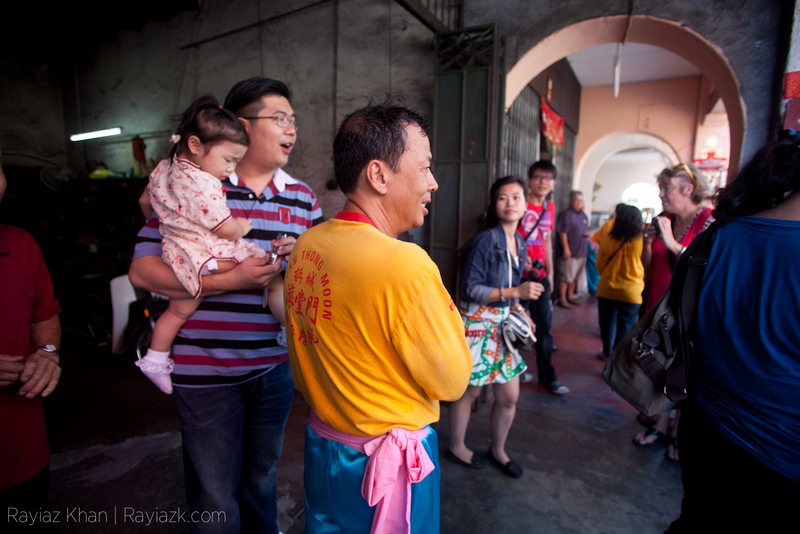 You couldn’t move without bumping into another person.